Once an appointment has been completed and checked out, you'll want to ask whether your client would like to Rebook. 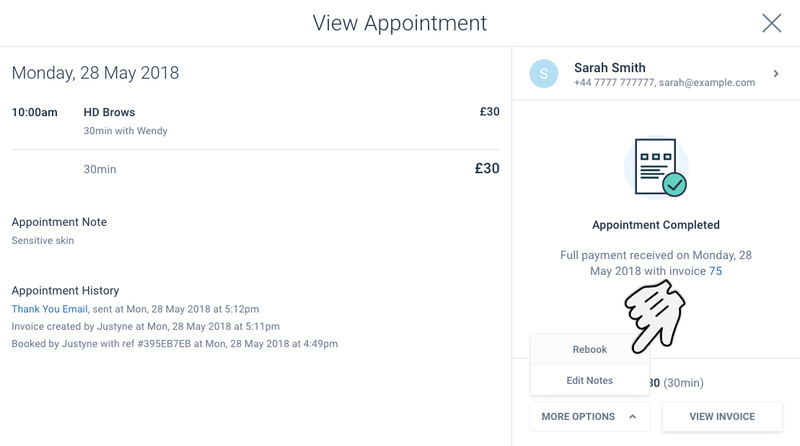 Using the Rebook option will replicate the appointment to a future date you select. TIP: An appointment may only be rebooked once it has been completed. 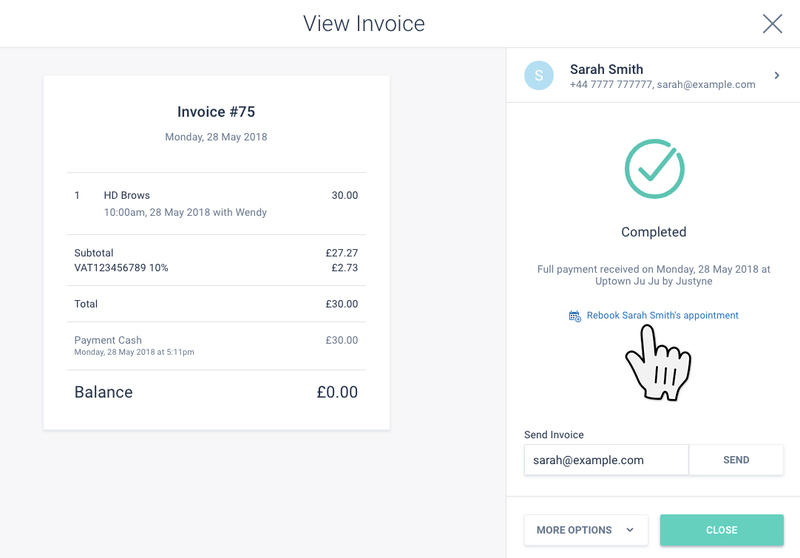 See the article Raise an Invoice to learn how to use our POS features.